Dr Thomas Hanemann, Lecturer at the Department of Microsystems Engineering (IMTEK) at University of Freiburg, Germany and Group Leader at the KIT Karlsruhe, Germany. Thomas Hanemann finished his studies of chemistry at the Technical University of Darmstadt (TUD) in Germany with the diploma thesis in organic chemistry in 1987. The PhD followed 1993 at the TUD’s physical chemistry department dealing with the development and characterisation of new material systems with liquid crystalline or nonlinear optical properties, the latter one especially in polymers. As a postdoc he continued related work at the Organic Optoelectronic Materials Department of the IBM Almaden Research Center in San Jose, California, engaged in the development of new photorefractive materials. Since 1995 he is scientific staff member of the institute for materials research at the Research Center Karlsruhe (Forschungszentrum Karlsruhe). 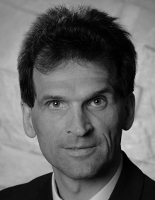 Thomas Hanemann’s main areas of interest are the development of new materials (polymers, nanocomposites) with improved physical properties and investigations on new replication techniques like powder injection molding for application in microsystem technology. Since 2000 he is lecturer at the Department of Microsystems Engineering (IMTEK) at University of Freiburg, Germany and for FSRM. 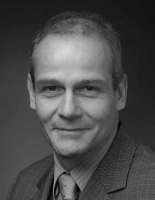 Also since 2000 he is group leader at the former Research Center Karlsruhe (FZK), today KIT, and at IMTEK. In 2005 he did his habilitation at IMTEK, since 2009 he got a professorship at IMTEK. Dr Mathias Heckele from Karlsruher Institut für Technologie KIT, Germany. Mathias Heckele studied physics at Stuttgart (De) and Marseille (Fr). He did his Ph.D thesis at Max Planck Institute for Metals Research (Stuttgart, Germany). In 1992 he joined Forschungszentrum Karsruhe where he worked at Institute for Micro Structure Technology (IMT) as head of the micro molding group. Main research activities are hot embossing / compression moulding of high aspect ratio microstructures, development of hot embossing equipment and tools. He is author of more than 30 publications on micro replication especially on high temperature materials for fluidic, capillary and optical applications. In close cooperation with companies in the fields process technology and construction of machines he promoted the commercial use of hot embossing with his contributions on shortenning the cycle times and enlarging the replication area. Since several years he is giving short courses at the engenieering school in Besancon (Fr). He is lecturer for FSRM courses since 2000. As specialist for german-french research cooperations he is today coordinator of the german-french relation in science and higher education within the Karlsruhe Institute of Technology (KIT). Besides silicon and the established MEMS/MOEMS technology polymer materials and the related microreplication technologies are becoming more and more important for the realization and commercial success of new microcomponents and microsystems. New nanostructuring methods like 2-photon-stereolithography and others are at the threshold of leaving the laboratory status and entering market. The course will cover the large variety of polymer materials, their fundamental chemical and physical properties and the derived microstructuring and replication possibilities. Direct and indirect micro- and nanostructuring methods like deep X-ray lithography, stereolithography, laser machining, nanoimprinting and others as well as the large family of replication methods like hot embossing and injection molding will be described in detail. Master and tooling fabrication methods like electroplating, electro discharge machining as well as mechanical and laser micromachining will be presented and discussed intensely. A large number of application examples and case studies dealing with the accessible geometries, feasibility, and process characteristics will be used for the presentation of the polymer microfabrication importance. In autumn, in a one day presentation, the course concentrates on the basics to give an overview about the technologies. In spring, during the two day presentation, there is more space for specific details and discussion. A visit of related labs exhibiting the machinery completes this extended course. The course is designed for technical management, R&D engineers and production specialists who face challenges of product development, manufacturing technologies and high-volume applications.